With five months left before we depart from the European Union, I am sure everyone, including myself, feel fatigued with talking about and thinking about Brexit. 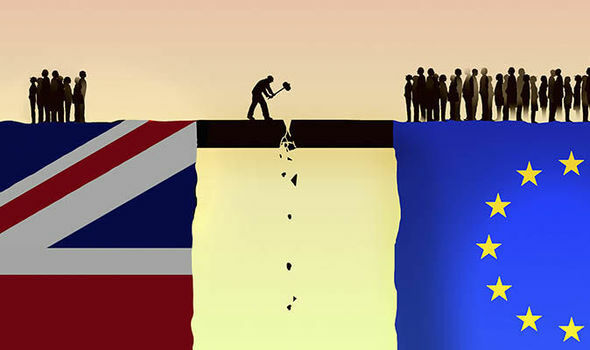 However Brexit is such a crucial part of how our society will be structured in the future that it is difficult not to talk about Brexit and the impact Brexit will have on not only on the 3.4 million EU nationals currently residing in the UK but for the country as a whole. Migration Advisory Committee (MAC) released their report a few weeks ago and the government tends to follow their recommendations. It appears the laissez faire approach the government has been advertising is not going to materialise. In one of my first newsletters I did predict that it is unlikely that merely completing a form will permit EU Nationals to secure permanent residence in the UK. Employers and employees need to consider their strategy in the coming months, as after the 30thMarch 2019, life is only going to becoming increasingly harder and perhaps it is time for those who took the wait and see approach to now action the regularisation of their status. The only advantage of waiting is if you are relying on a period you were self sufficient or a student as you do not need to have comprehensive sickness insurance in place, as you do under the current rules. With the Labour and the Conservative party conferences a few weeks ago and the Prime Minister as wells as the Home Secretary offering strong indicators that they will be following the Migration Advisory Committee report (MAC), we are better equipped to understand the Government’s position. There is still plenty of uncertainty and the Brexit negotiations may offer huge concessions but as it stands I have indicated below what a post Brexit Immigration system may look like. Theresa May and now the MAC report have affirmed that EU free movement will end. This has been the Prime Minister’s position throughout so it is likely post 2020 that there will be a system of immigration control and constrains for all EU citizens. EU nationals have always been treated differently to non-EU nationals and this disparity has permitted EU Nationals to enjoy a relaxed Immigration system, which is cheap as Home Office fees are low and relatively simple to navigate. MAC has concluded and thus reinforced the idea of a level playing field first voiced in early 2018 that there is no economic justification for EU nationals to have preferential access to work in the UK. The Prime Minister has confirmed she intends to create one unified system for all migrants. This will mean that a French national will have to navigate the same Immigration rules as a national from India currently does. This also follows the government’s currently position to encourage highly skilled migrants to come to the UK and this will be extended to include EU Nationals. At the Conservative party conference the Prime Minister talked about a new skilled based system that will allow EU Nationals to access the UK labour market, where they can demonstrate they are taking a highly skilled role. It is likely that EU Nationals will have to navigate the Tier 2 points based system. The system is far from simple and riddled with bureaucratic principles and a costly endeavour not only for the employee but employers also. Gone will be opportunity to secure permanent residence by paying a nominal fee of £65 and replaced with fees that travel into the thousands for both the employer and employee. The only up side to the changes to the Tier 2 system will mean that the annual quotas that have been causing huge problems for employers are to be scrapped as recommended by the MAC report. The MAC report has also recommended that Tier 2 visas been broadened and the level of education, currently at NQF Level 6, which is equivalent to a degree should be reduced to NQF Level 3 which is equivalent to GCSE level. The MAC report has also recommended that the resident labour market test be scrapped. The most glaring omission from the MAC report is the lack of provisions in place for low skilled workers and the Prime Minister again agrees with the MAC report that there are no benefits to the UK economy. I would imagine the agriculture; health care and construction sector would beg to differ with the MAC report and Prime Minister. The government may well add a low skilled worker visa to the current Tier 5 Youth Mobility scheme, although not originally designed to accommodate low skilled migrants. There is an age limitation currently exercised in this category as anyone under the age of 31 can apply and work in the UK for two years. However this visa does not allow for eventual settlement. The government’s approach is that those who do not meet the requirements under Tier 2 would have an option under Tier 5. Similarly changes to the current requirements of Tier 5 visas including the requirement for maintenance in the sum of £1890 are probably going to have to be lower. This still leaves a void for seasonal workers who only come to work for certain times of the year and then return home. There is still a lot not mentioned and we will have to see over the coming months how the proposal sits. The changes above will also have an impact on how we travel to European and there is talk of a USA style visa waiver system. We must still bear in mind that this could all change if an agreement is reached and the Immigration White paper is shortly due to the published followed by the Immigration Bill in the New Year. From next month the Home Office is going digital and this has been reflected in Paragraph 34 that deals with valid and invalid applications. The key change is that most people will be able to keep their original documentations. Passport size photographs will no longer be required, as all applicants must enrol their biometric information that includes a photograph. You can still submit your application by post but only if a paper copy of the application is completed. Those wishing to use the premium service centre or future equivalent would need to complete an on line application. In order to submit a valid application the applicant must make an appointment to provide their biometrics and provide any evidence the Home Office requests. The details will become clearer once the gov.uk pages are up dated. The changes are to take effect from the 1stNovember 2018. There are also going to be changes to the points based system that will include offering greater flexibility. The Home Office can request the applicant submit specific evidence, at present they can only request a document omitted from a sequence. Further the Home Office can request additional documents and can also accept documentation that may be in the wrong format so long as the evidence can be verified by other documentation include in the application. However documentation will not be requested where even if the Home Office were to accept additional evidence the application would still be refused. Although the Home Office can and do not have to request additional information the changes do offer more flexibility than previously applied to points based applications and hopefully clients will find the changes less arduous and the Home Office will actually use a more proactive and sensible approach to these applications. The changes also include an administrative review for EEA nationals who apply for settled or pre settled status under the new EU Settlement scheme. Previously there was no redress and although an administrative review is not ideally and an appeal right would be preferable as is the case at present, at least there is some sort of challenge that can be made to the Home Office.